VIT Master’s Entrance Examination is a university level entrance examination. VITMEE 2019 will be organized by the VIT University. Candidates can get admission into PG programmes of M.Tech and MCA offered by the Chennai and Vellore campus of the university.VITMEE is VIT Master’s Entrance Exam held each year. VITMEE 2019 is expected to be conducted in the month of June 2019. Thus, candidates who want to take admission in M.Tech Programmes in VIT must know every detail about VITMEE 2019. 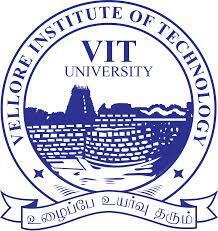 VIT conducts this examination for M.Tech admissions in 7 schools of VIT. Even the GATE qualified candidates need to appear in VITMEE 2019 to get a seat. VITMEE 2019 will be held at various test centers in online mode only. To know more details keep reading below. VITMEE 2019 Application Fees: All candidates must keep print copies of the filled application. All candidates have to pay application fees compulsorily. It can be paid through online mode once candidates pay application fees it will be not refunded back. The application fee will be 950/-. It will be non-refundable. The application fee can be paid through debit card, credit card, internet banking. VITMEE 2019 Results: VITMEE result is the basis for shortlisting the candidates for counselling and admission. VITMEE 2019 Result will be announced in online mode. Applicants will be able to access their result by using their Application Number and Date of Birth. On the basis of the performance in the examination, students will be shortlisted for the VITMEE counselling. Steps to download VITMEE Result 2019 Click on the official link to VITMEE 2019 result. By clicking on the link, you will reach the result page of VITMEE 2019. Log in using your 10 digit application form number and date of birth. VITMEE 2019 result will get displayed on computer screen. Take some printouts of the result as candidates must carry it to the counselling procedure. GATE qualified candidates will be given preference on the basis of GATE scores for counselling and seat allotment over those candidates who only appeared in VITMEE 2019. VITMEE 2019 Slot Booking: This section contains all the details about VITMEE 2019 Slot Booking: Once the registration process has been completed, the slot booking for VITMEE 2019 will start from the 4th week of May 2019. The entire process will be online and candidates will have to book the slots through the university website. Candidates will have to enter their USERNAME & ID before booking the slots. The candidates will be able to choose the venue and time of their own choice from the options provided. The slot booking process will be done on a first-come-first-serve basis. Once the slot booking is completed the candidates will receive a confirmation email to their registered email address. VITMEE 2019 Scholarship: Monthly stipend of INR 4000/- for top six GATE Qualified Scores in each M.Tech. Program. Top VITMEE / GATE scorers will get a stipend of 3600 Euros (i.e. INR 2.40 lakhs) for double degree program in Communication Engineeringfrom UAS, Darmstadt, Germany (under DADD fellowship) and in Sensor Systems from UAS, Karlsruhe. For M.Tech (Nanotechnology) - Student Fellowship of INR 12,400/- p.m per student and a Contingency of INR 15,000/- p.a per student will be given for the first 20 students admitted to M.Tech Nanotechnology, provided by DST (Nano Mission Council). We would be glad to get your feedback. Take a moment to comment and tell us what you think about VIT Master Entrance Examination ( VITMEE ) , Engineering.